In the case of the Linux server, the graphical interface is not used to reduce the performance of the system and the command screen is used instead. For servers with Linux operating systems, there is no desktop interface, so the SSH is installed on the servers to be able to process from the secure command console. What is SSH is an interface that provides the sending of commands in encrypted mode, in the so-called Secure Shell form, in English. 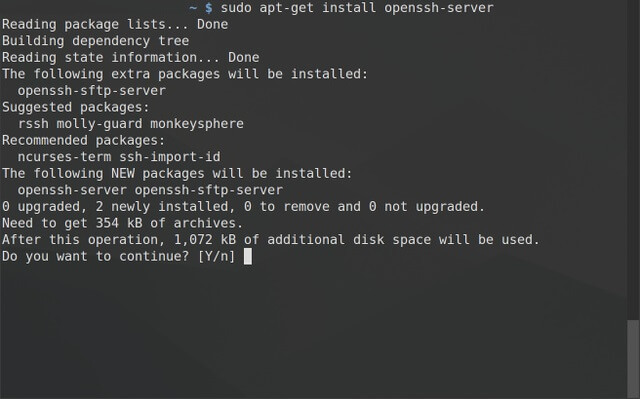 In order to be able to connect from the ssh client, it starts with the installation of the software that will accept the ssh connection on the server side first. In this way, after the installation of ssh-server to our server, the service is checked to make sure it is running and working. After the ssh server is installed and run, we use the Putty program for remote connection in windows or another operating system to provide the connection from the 22 port it uses as standard. After downloading and running in this program, we find the IP address and 22 port on the screen that we come up with.